It only seems like yesterday that I was raving about discovering Sharon Horgan’s bitter-sweet new comedy-of-attrition Divorce, and now the first season is already over! That’s partly because it was only ten episodes long, and partly because I was so tardy in joining the party… but I’m happy to report that the finale was still firing on all cylinders, and went out on a (kinda) cliffhanger ending, safe in the knowledge that HBO has already renewed it for a second outing next year. Hurrah! Meanwhile, Sarah Jessica Parker has been nominated for a Golden Globe Award for her starring role… and deservedly so, imho. 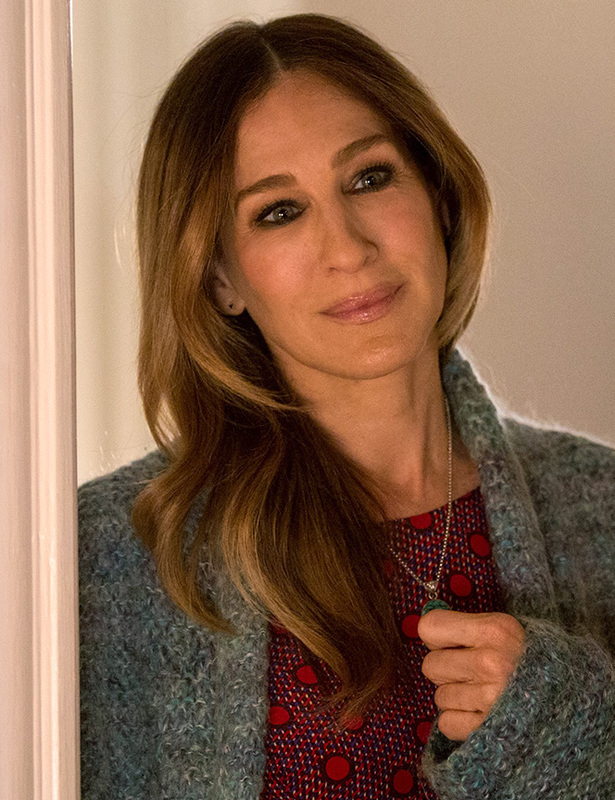 Whether it’s an intentional “trick” on her part or not, I keep getting suckered in by how adorable SJP can be when she’s turning on the charm, which makes it all the more surprising/amusing when her character does something incredibly petty or insensitive… such as in the final episode, when she selfishly/impulsively announced that she’d be taking her kids on a ski trip, in order to “bond” with them, despite it being her estranged-husband’s weekend to see them, and the fact that her daughter (Sterling Jerins) was still recovering from being knocked down by a (slowly) moving vehicle days earlier! Anyhoo, there’s no question that SJP totally aces all of the emotional swings-and-roundabouts that the story throws at her… so congratulations, and fingers-crossed! This entry was posted in Rants about TV and tagged Divorce, Sarah Jessica Parker, Sharon Horgan, Sterling Jerins. Bookmark the permalink.